﻿ How to run SNMPWALK. How to snmpwalk a device. How to use SNMPWALK? First of all you have to get Snmpwalk from here. It's better to download the latest stable version. Once you have downloaded the tool and extracted it from the archive. If you are on a Windows OS it's enough to extract it from the .zip archive. Once you have the snmpwalk.exe file on your computer open the CMD (Start, search cmd and hit Enter). The "black window" will popup. Locate the snmpwalk.exe file and drag it to that black window. Now you have to enter the right command. 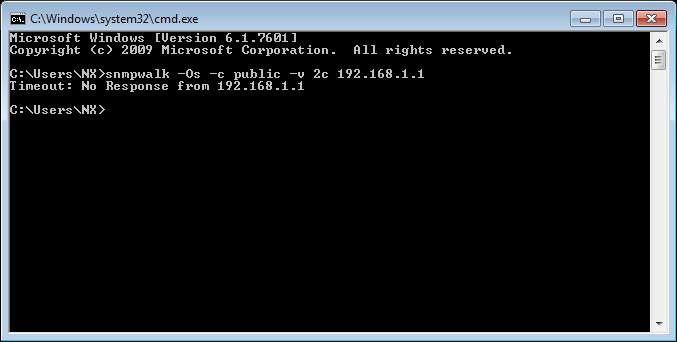 If you are using Microsoft Windows and you are not familiar with CMD and/or executing files from the command prompt you can get the .exe installer here. Then click on the link "Looking for the latest version?" 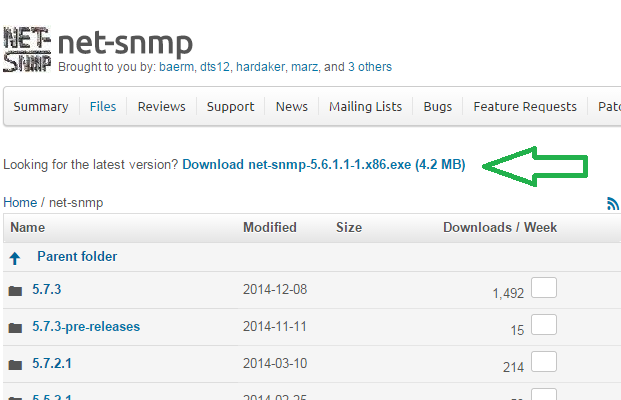 Thanks to this installer you will be able to start snmpwalk just by digiting "snmpwalk" on your cmd "black window". All you have to do is to download that .exe and install it. Snmpwalk is a great tool that will help you to test SNMP connectivity to one or more devices. It will check if your computer can connect via SNMP. 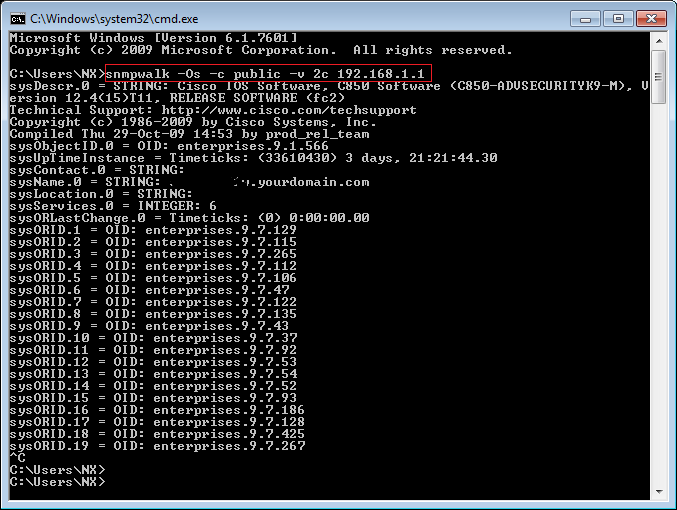 If some ACL or firewall is blocking the snmp access the snmpwalk will fail. The same will happen if the SNMP community string (aka password) is wrong. Choose the tool and run the magic! This tool is given for free as is. No guarantee provided. We spend many hours in order to increase its quality and give good results. We strive to get the best out of it. But we cannot guarantee that the results are good. If for you the quality of the data is mission critical, please always double check the results. If you finde some bugs or inconsistencies in the calculated data, please let us know and we will fix it asap. This site does not save the data uploaded. There is not cache for the uploaded or calculated data. All the calculations are done on the fly. Ip Converter Tools is a Cisco Registered Partner and provides services Globally. Please contact us for Network Audits. An idea and project of Sergio Lo Porto, proudly coded by Tomasz Sałaciński. Two amazing people that have time to invent and code, but still after few months don't have time to meet for a pizza or cup of coffee. Drop us line in case you notice any bugs or wrong results.